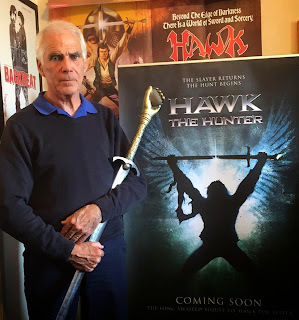 Hawk (John Terry): Classic noble fighter who wields the elven Mind Sword. 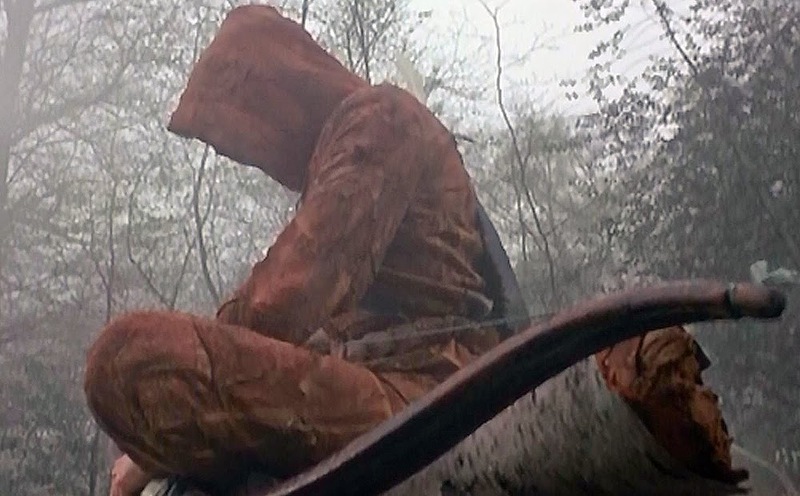 Ranulf (Morgan Sheppard): The one handed veteran who employs a repeating crossbow. Gort (Bernard Bresslaw): The strongman of the party who wields a huge maul. 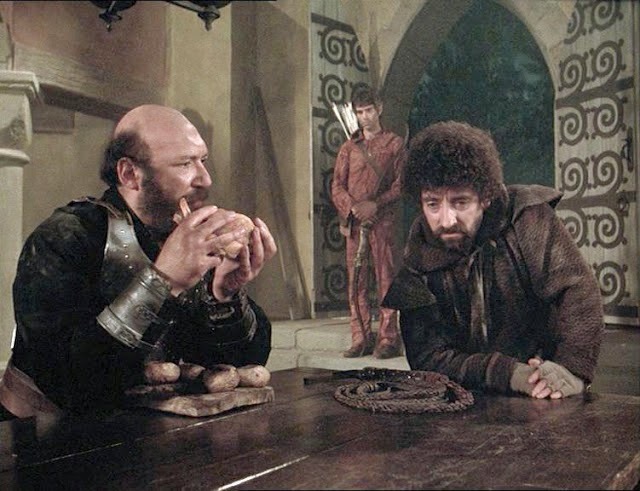 Baldin (Peter O’Farrell): The “dwarven” thief who uses a whip and daggers. 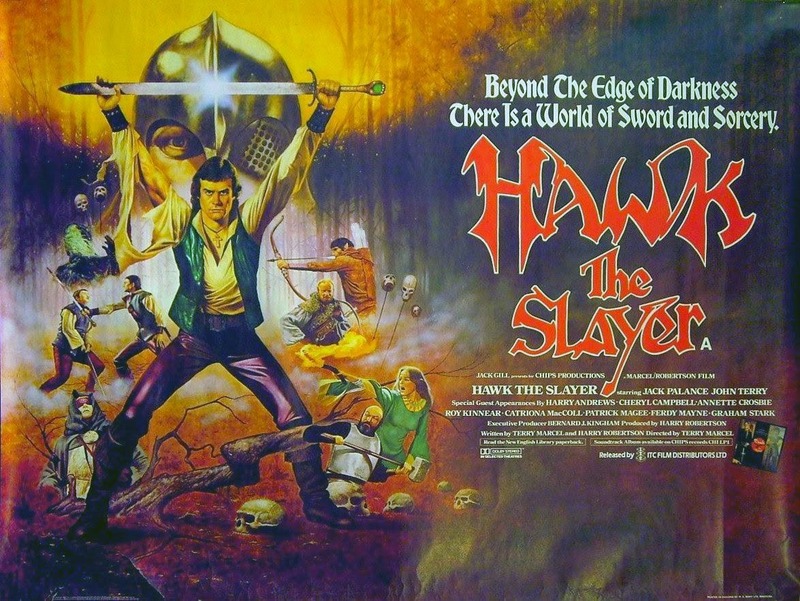 Crow (Ray Charleson): An elven ranger whose archery skills would make Legolas envious. 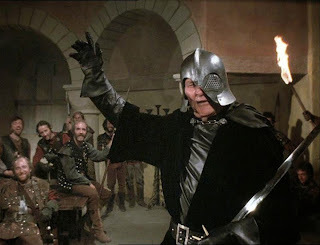 Voltan (Jack Palance): The dark one and Hawk’s evil brother. Overall I think the cast did a great job for such a low budget creation. 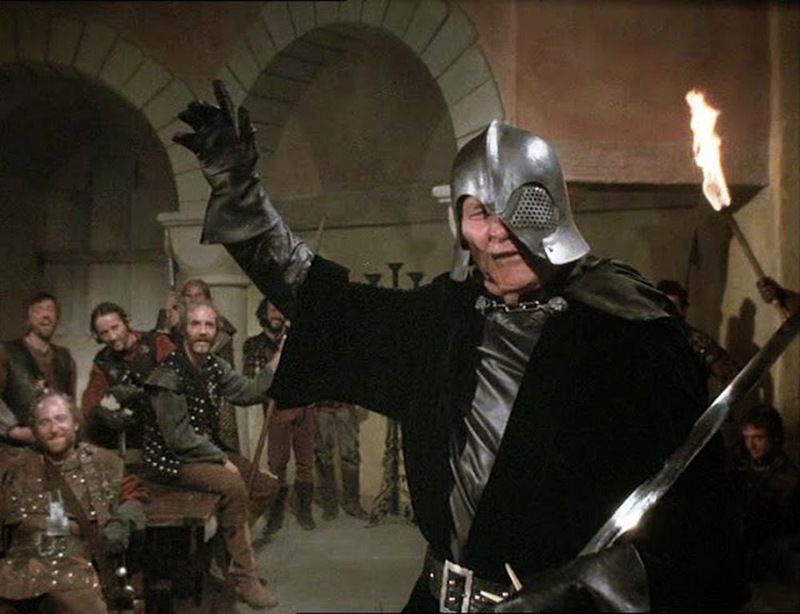 Jack Palance’s performance alone is enough to inspire any DM with role playing goodness for their next campaign villain. One of my favorite interactions in the movie is between Gort and Baldin when they are in the monastery. Baldin tricks Gort out of a rather delicious meal by convincing him it may be “holy” food. This is the sort of fun role playing banter that happens routinely in a good game of tabletop. This movie really influenced me as a Dungeon Master early on. After seeing the repeating crossbow used by Ranulf it was immediately integrated into my campaign. And Crow firing his bow multiple times before anyone could even reach him made me take a hard look at initiative rules. Anyone who thinks Crow’s archery ability is cheesy obviously has never seen Lars Anderson. But more important was the abrasive and grim feeling of the world the characters existed in. It was just another inspiration source to draw from when dreaming up my own campaign locales. 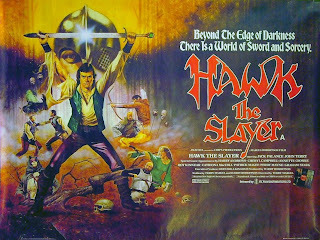 Hawk the Slayer has a cult following in some circles and is the topic of endless jokes in others. If you have never seen the movie I recommend checking it out. Especially if you are a fan of old school gaming since it really oozes with that type of atmosphere. The only thing this quest driven tale is missing would be a dungeon crawl. It has a gritty and sorrowful landscape, colorful characters, good action and plenty of failed saving throws. There have always been rumors of a sequel being produced but they were never corroborated until now! 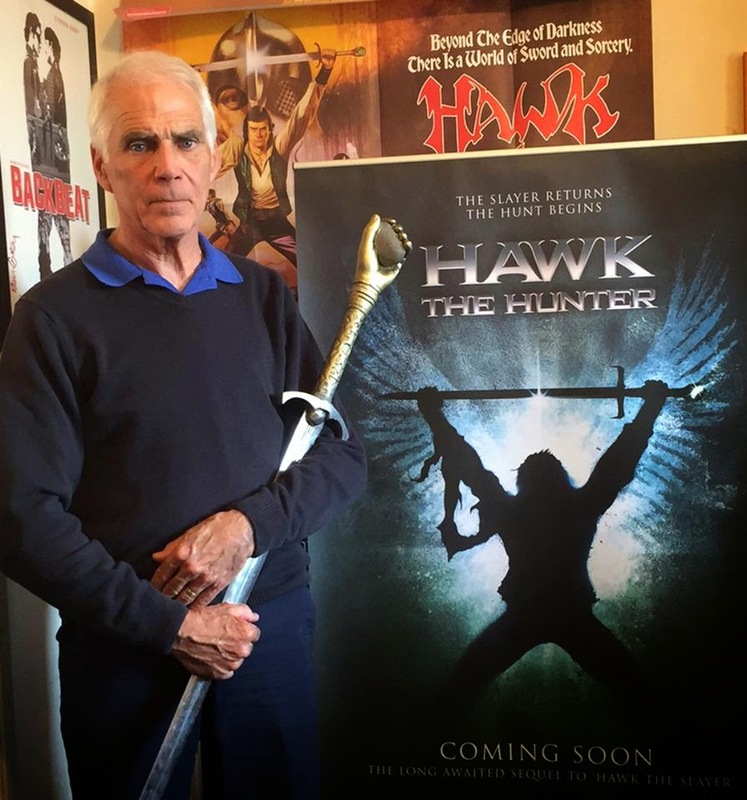 Writer and director Terry Marcel and actor Ray Charleson (Crow) recently announced “Even as we speak, the wizards gather in the south.” Hawk the Hunter is being produced and fans have been delighted with this awesome teaser video. For more information you can follow the progress of the movie on Facebook or Twitter.